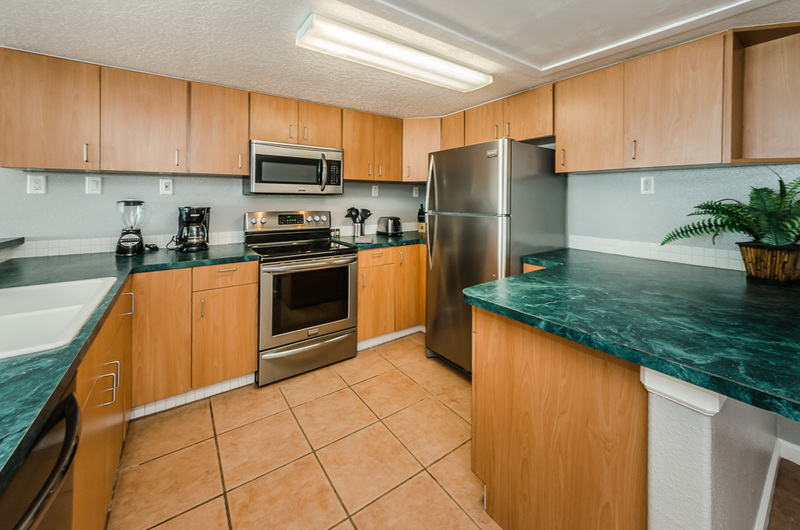 Villa 1 kitchen is a fully stocked kitchen with brand new appliances (convection oven). There is ample cabinet storage for extended stays. Coffee pot, toaster, crockpot, initial supply of paper towels/trash bags, sponges, dishwasher tabs, and dish soap are provided.